This originated on the Sunday Stealing blog. To participate copy and paste the meme and fill in your answers. Then head over to Sunday Stealing to post your link. Headshot for my business taken in doorway of a photographers house in LA. 4. Name someone who made you laugh today. What was it about? My kids...joint effort while they were torturing each other. 11. When was the last time you cried really hard? Really hard as opposed to just sniveling? Yes and no. More hectic yesterday but I love dorky hometown events and got to hang with some great friends. Today very mellow...made my hubby happy we hung out at home. Just stressed, not upset..."must finish book proposals ASAP"
YES! But if they are bad...and you know it when they are, walk away, no run. Thankfully I seriously do not remember the last time I visited someone in the hospital. Maybe I visited a friend for the birth of a baby, like in 2000. Yes, but he was a liar. It is possible, but I hope not. I love your answer about not being able to live without kids hugs and kisses! My daughter is too old for that kind of thing. My son still eats it up. Of course, I can always count on my dogs for that...and they can't talk back! To quote Family Feud: Good answer, good answer! can't believe how close you were to winning the lottery - i would rather be off by 5 than off by one! thanks for visiting the crib! I love #1, caramel apple, so good! And, really, you miss LA? I'm a born and raised northern CA girl, I guess disliking LA is kinda in my blood, maybe I should give it a second (or tenth) chance? Bud Weiser never comments on my Sunday Stealing. I'm jealous! #2 - Your pic is beautiful! Hugs and kisses from the kids make everything better! Best thing about this is thee is not a wrong answer! He was a liar, he was hot, but a liar. Glad I wised up. If I watch Extreme Home Makeover I would cry every night. Love that show. Seriously my husband was so mad about the lottery...he called and said "I have good news and I have bad news." I said do you still have a job, he said yes...I said OK (I could tell by his tone it didn't involve a person). Good news was we won, bad news was we used up all of our luck, and not on the the big one! I have never tried to make caramel apples before...worth the effort. I live in Nor Cal now, I guess technically Central CA. It must be a So Cal/Nor Cal thing. We lived in El Segundo, so it was a small town feel with all the benefits of the big city nearby. LOVED IT. I had an unfortunate incident on the other computer...thankfully just the keyboard. I have not learned my lesson. Thanks all for stopping by. Off to the pumpkin patch with the pumpkin...check you all out later! I'm with Life Laugh Latte...I don't often fill these out, but enjoy reading them! 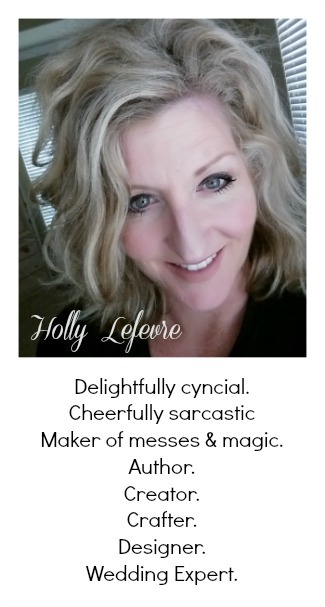 Holly, thanks for stopping by...you made me laugh...and although I loved your squash post, reading the rest of these (especially Toy Story--I, too, had a Mrs. Beasley and the requisite Bad Hair barbies!) makes me so glad that you blog about a wide repertoire of topics! I've read this post on several blogs, and I like it because you really learn quite a bit about the people behind the page. Thanks for the glimpse into who you are Holly. I love reading these when others fill them out. We love Laurie Berkner at our house and lately that F-A-M-I-L-Y song is stuck in all of our heads. We adore her and I need to get more of her stuff. We have a dvd of hers and it's quite popular with my kiddos. Thanks for sharing all this stuff about yourself!